Good evening, space fans! It's been a very successful week for spacefaring. Here's what's up! Dear Mars: we're thinking about you. 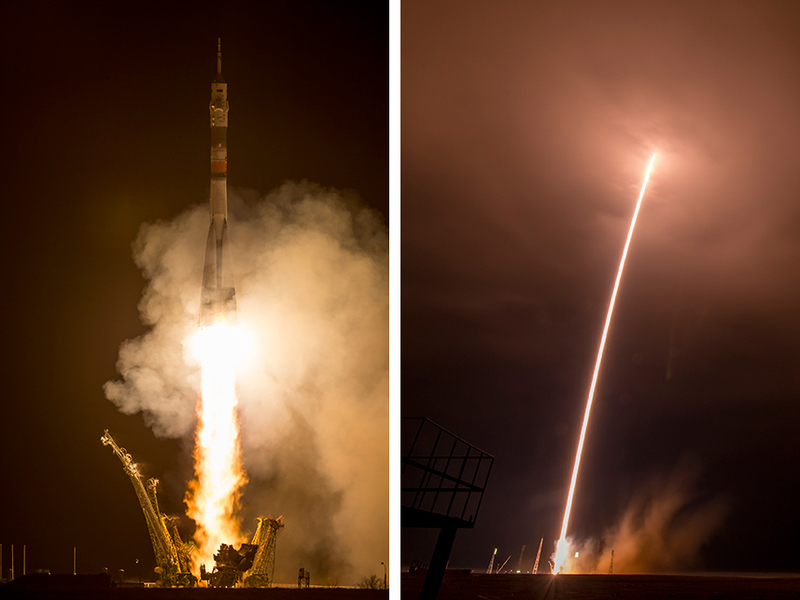 On Friday, the historic "One Year Crew" launched to the International Space Station from Baikonur Kosmodrome, Kazahkstan. Comprised of NASA astronaut Scott Kelly, cosmonaut Mikhail Kornienko and cosmonaut Gennady Padalka, the three blasted off at 3:42 PM EDT. They docked safely at the ISS about six hours later at 9:33 PM, and after airlock depressurization, the hatch was opened at 10:45, and the new crew entered their high-up home. Then, in a tradition held by all aliens, they immediately wanted to phone home. For Kelly and Kornienko, they will be living aboard the installation for the next 342 days - the first time a two-man mission of this magnitude has been undertaken. Padalka is slated to return home in September, but will do so after having accrued the most non-consecutive time spent in space by a human. 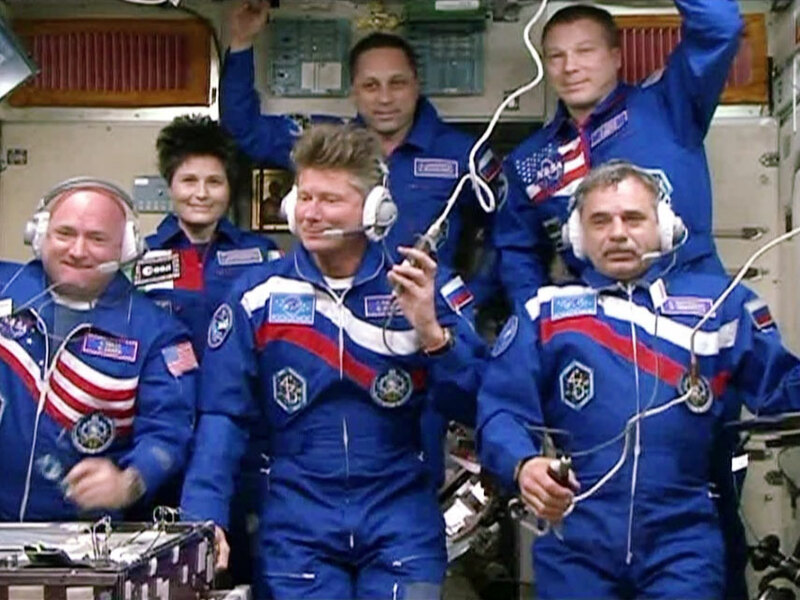 The three join (top row above, left to right) ESA astronaut Samantha Cristoforetti, cosmonaut Anton Shkaplerov, and NASA astronaut/current ISS commander Terry Virts aboard their orbital abode. Astronaut Kelly explains the finer points of rocking out in a rocket. According to NASA, the One Year Crew will undertake "several hundred experiments in biology, biotechnology, physical science and Earth science — research that impacts life on Earth." Fascinatingly, the experiments that Kelly conducts on the ISS will be mirrored on Earth by his twin brother Mark (who is also an astronaut) in an intensive long-term bid to compare data between subjects on Earth and in space. TIME magazine has commenced a series of videos chronicling the Kelly brothers' adventures. 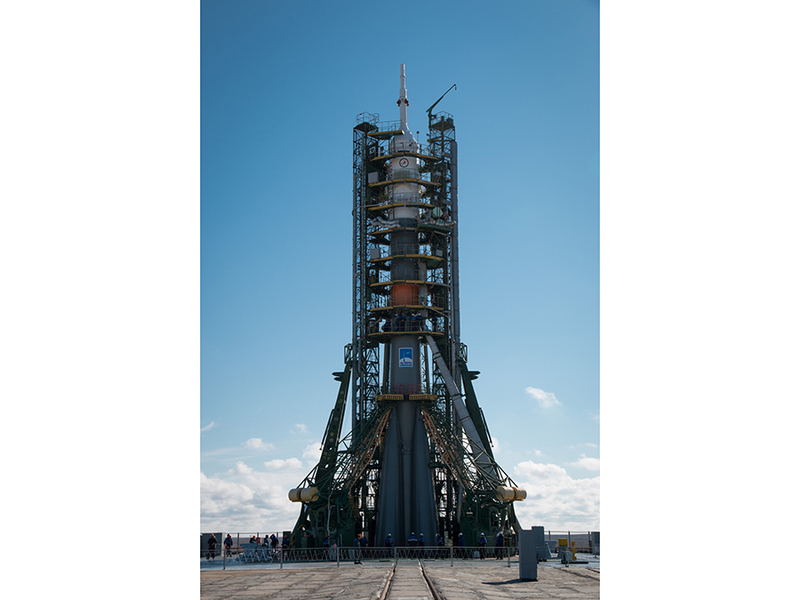 The Soyuz rocket that ferried up the One Year Crew. The mission will be chronicled via numerous online sources, including at NASA, on Twitter at #YearInSpace and #ISS. Astronaut Kelly also maintains Twitter and Instagram accounts. All sorts of strange and interesting facts might come to light! 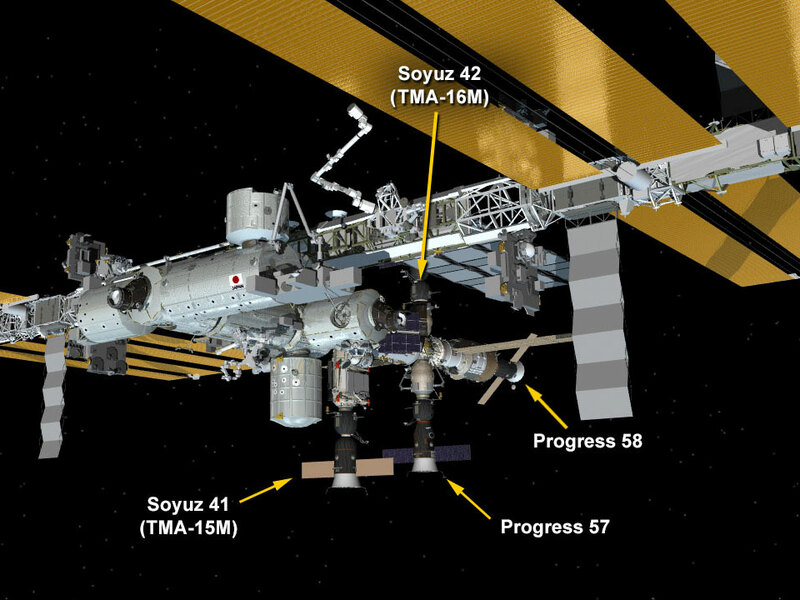 The current configuration of the ISS holds two Progress unmanned vehicles and two Soyuz capsules. One Soyuz will next be used for the return of the Expedition 43 crew in May. The current parking situation at the ISS. In other ISS news, it was announced this week that America and Russia plan to team up on building a new international space station after the decommissioning of the current ISS, slated for 2024. According to Discovery News, the two nations will work together on the project along with other current ISS collaborators. Roscosmos chief Igor Kormarov was quoted as saying, "We agreed that the group of countries taking part in the ISS project will work on the future project of a new orbital station." They are "open" to the idea of new nations joining the project as well. This news was augmented by NASA director Charles Bolden expressing interest that the two nations collaborate on a future Mars mission. Earth-bound (and maybe Mars-bound) Russians and Americans could have a brighter future. That's all for this week, space fans! Check up with us next week to see how the One Year Crew's first hundred-odd spins around the planet went...watch this space! Get ready, Mars, one of these rockets will have your name on it soon!